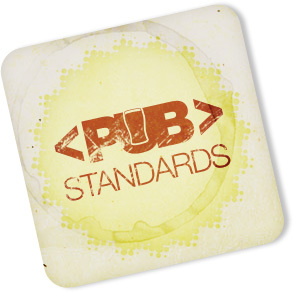 This is the London chapter of Pub Standards, a monthly meeting of web-folk. Since 2005 we've been offering after-conference drinks & chat without the conference. See where we've been before, where we'll be in the future, how to keep in touch, or just find out more about Pub Standards.